­Amnesty International says in recent weeks, it met with detainees in Tripoli, Misrata and Gharyan who showed visible signs of torture – open wounds to the head, limbs, back and other parts of the body. "Several detainees have died after being subjected to torture in Libya in recent weeks and months amid widespread torture and ill-treatment of suspected pro-Gaddafi fighters and loyalists," Amnesty said. "The torture is being carried out by officially recognized military and security entities, as well as by a multitude of armed militias operating outside any legal framework," the statement reads. Medecins Sans Frontieres has suspended its work in Libya’s third-largest city Misrata over similar claims. The group says it encountered formidable obstacles it could not overcome. Burns from electric shocks and cigarettes, heavy bruising and renal failure – all this, evidence of continuing torture of prisoners, the organization says. When two more inmates died after beatings, the international group halted its mission in protest. “Patients were brought to us in the middle of interrogation for medical care, in order to make them fit for further interrogation. This is unacceptable. 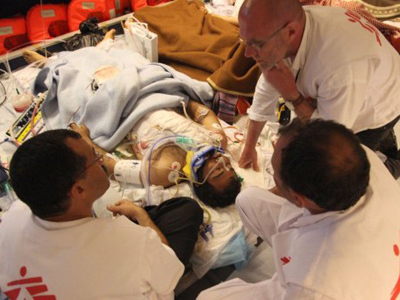 Our role is to provide medical care to war casualties and sick detainees, not to repeatedly treat the same patients between torture sessions,” the group’s General Director Christopher Stokes said in a statement. 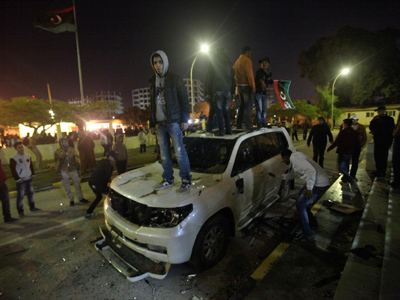 The news comes amidst rising frustration with Libya’s interim government. Demonstrations in Benghazi last week ended with the resignation of a high-ranking member of the National Transitional Council (NTC). 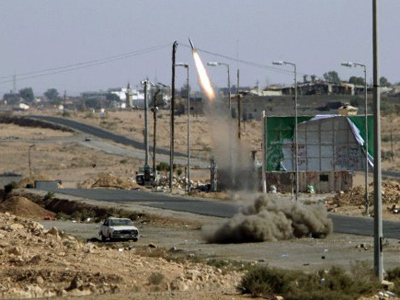 In the former Gaddafi stronghold of Bani Walid, locals pushed out the NTC’s forces, claiming systematic abuse. “It started with the very beginning of the rebellion, […] the second day of the rebellion. 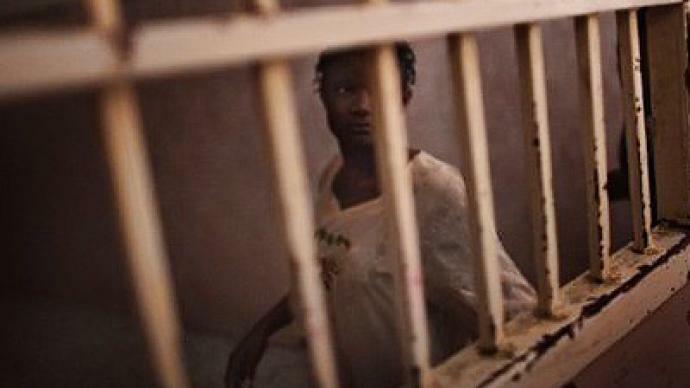 On the 18th of February, 50 African migrants were rounded up, locked in the detention center and burnt to death. And the NTC expressed their support for this kind of behavior. This is part of the strategy of the West. You know, divide and rule. That was giving the green light to torture and execution – what we are seeing now. This is a clear recipe for civil war,” says Middle East political analyst Dan Glazebrook. Meanwhile, the behavior of the NATO forces that brought the NTC to power has also raised questions. Last year, a high-profile team of human rights activists went to Libya to investigate alleged international law violations in the country. The group examined the actions of NATO, former government and insurgents. The Arab Organization for Human Rights together with two other organizations released the final report. All in all, investigators believe “crimes of war and against humanity were committed”. “Some of the NATO representatives were at the frontline – guiding the raids, and directing them, and coordinating. If are your mandated to protect civilians – this is not your mandate,” says Raji Sourani from the Arab Organization for Human Rights. Raji Sourani took part in the fact- finding mission in Libya. He spent 8 days travelling across troubled areas. Talking exclusively to RT, he spoke about what he saw during his time in Libya’s hot spots. 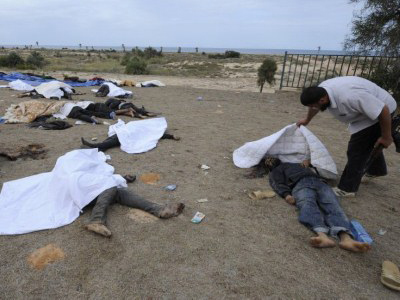 “I saw so many people killed in front of my eyes … I saw the killing of 51 people. 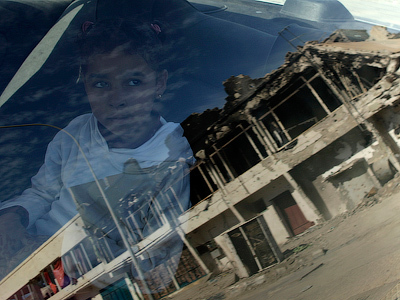 The youngest was 15,” says Ali Alkasih, a witness of NATO’s bombing in Libya. And while all sides in the Libyan conflict are to blame for violence and violations, the human rights activists claim, not all of them have been held responsible for their wrongdoings. 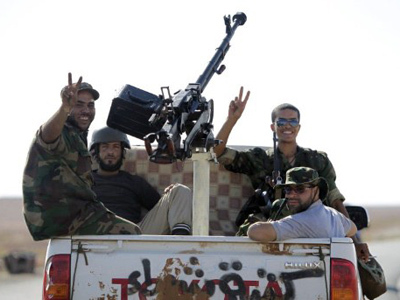 A recent United Nations report has revealed that up to 8,000 pro-Gaddafi supporters are being held by militia groups in Libya right now. And with numerous accusations of torture and revenge killing throughout the country, hopes of a new beginning for Libya seem far off yet.